A presentation for photographers and for appreciators of the art. Photographers who produce personally rewarding landscape images on a regular basis tend to have certain habits and values in common. 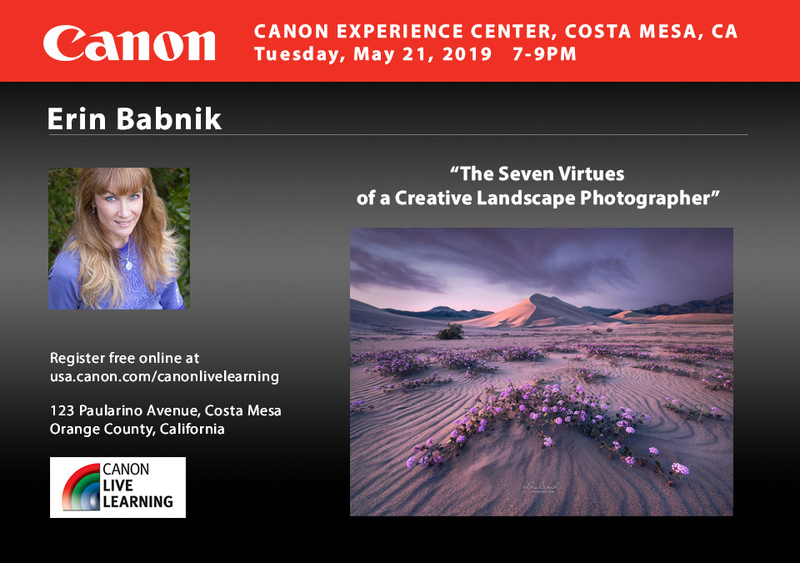 In this presentation, Erin Babnik summarizes these tendencies as seven “virtues” that any landscape photographer can nurture to facilitate the creative process. From curiosity to patience, these virtues address the entire range of concerns and practices that are important in creative development and in mastering the craft of landscape photography.